What and awesome fun filled day of Roller skating in the Fishers Ghost street Parade for 2010, skating down Queen Street Campbelltown, all the SWSR had an awesome time!! 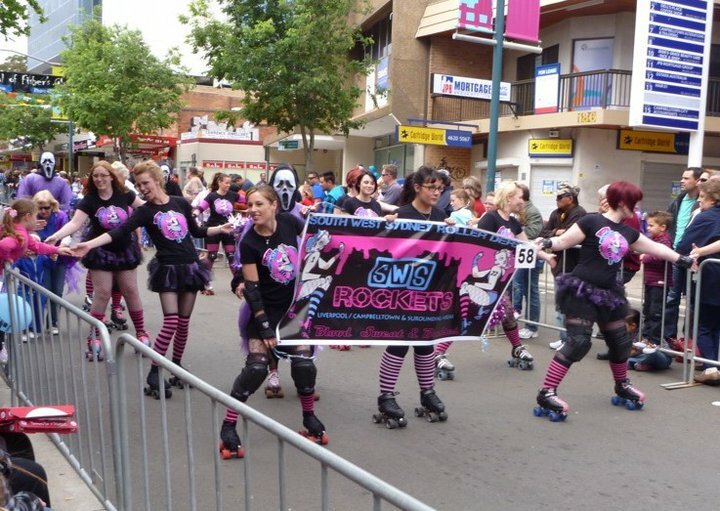 The rain held out and the Girls of South West Sydney Rockets strutted there fishnets and Tutus and skated with our Pom Poms and Banners shaking proud. 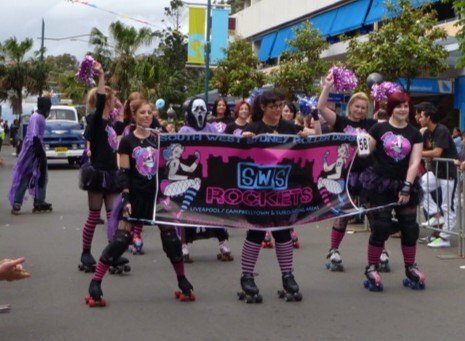 whilst we rolled down the main street of town, with the crowd cheering, kids and adults alike highfive-ing - The South West Sydney Rockets Roller Derby League proved to be one of the highlights of the parade for 2010 !! 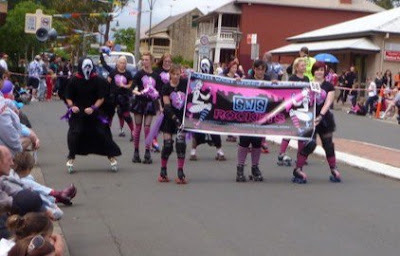 and be sure to come see at next years parade, where we will be skating with more girls, bigger tutus and pom poms galore !! 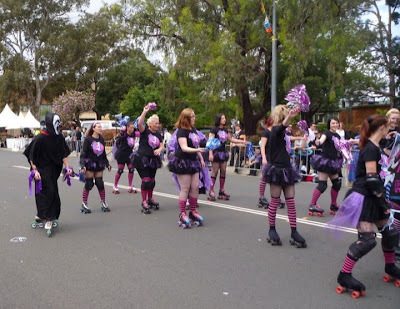 More photos of this fun day out can be found here on our Flickr stream ! !